My Industry's aim for their website was to have a fully automated listing and advertising site that focuses on the insurance industry and all of the companies that surround it. 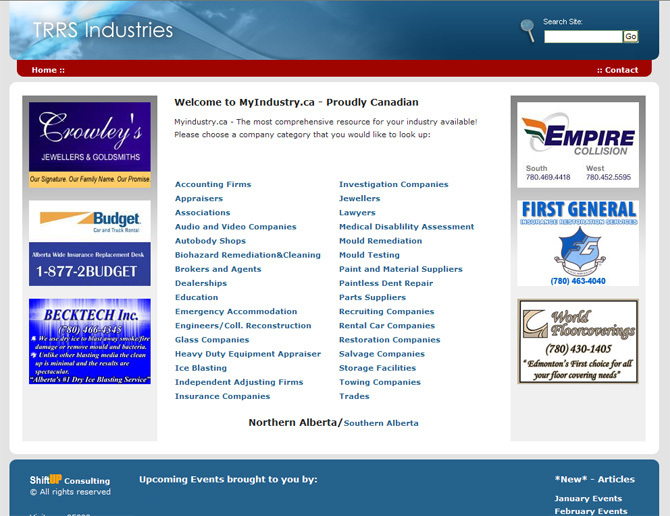 What we'd created for them is a completely customized advertisement and listing system. They were able to move ads to any page and position on the entire website, turn ads on and off and alter their images & link capabilities instantly. Through filling out simple forms in the back-end, all of the categories and listings beneath them can be instantly updated on the website. We'd included a map as the landing page for the website. This map had a database of locations and map positions which My Industry entered into the database which click through to the respective city that the user wants to view listings for.